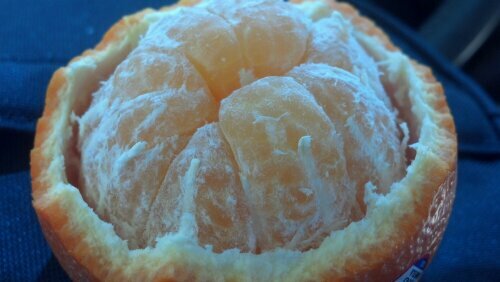 I bought a couple Minneola oranges at Trader Joes yesterday and they are so sweet! There is an unconscious personal preference to eat oranges as my staple fruit with every meal that had prevailed for too long. So I changed up my ways and have been eating fruit such as Anjou pears, Pink Lady apples, Korean Asian pears. All of which are not as sweet as this tasty orange! It’s good switch things up! What a nice sweet treat! ← Fresh Eggs From The Farm!